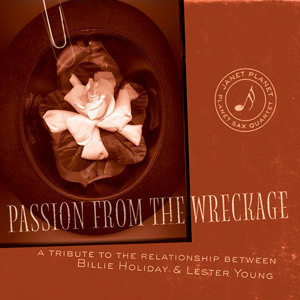 A tribute to Billie Holiday and Lester Young: Saxophone quartet with vocal by Janet Planet performing Billie Holiday standards. “Lover Man”, “Good Morning Heartache”, “My Man” are just a few of the songs that made Billie famous. Be ready for a sonic treat.